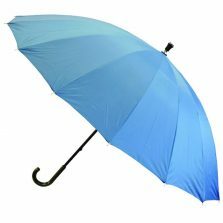 This lovely teal walking umbrella is an incredibly strong walking umbrella. 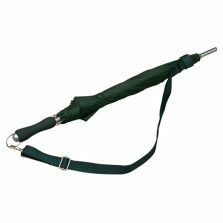 It’s not really intended as a walking stick, so don’t put your full weight on it – nevertheless, we’re sure you’ll be impressed by it’s strength. Here we have our Green / Teal walking umbrella – another top quality umbrella from Umbrella Heaven. 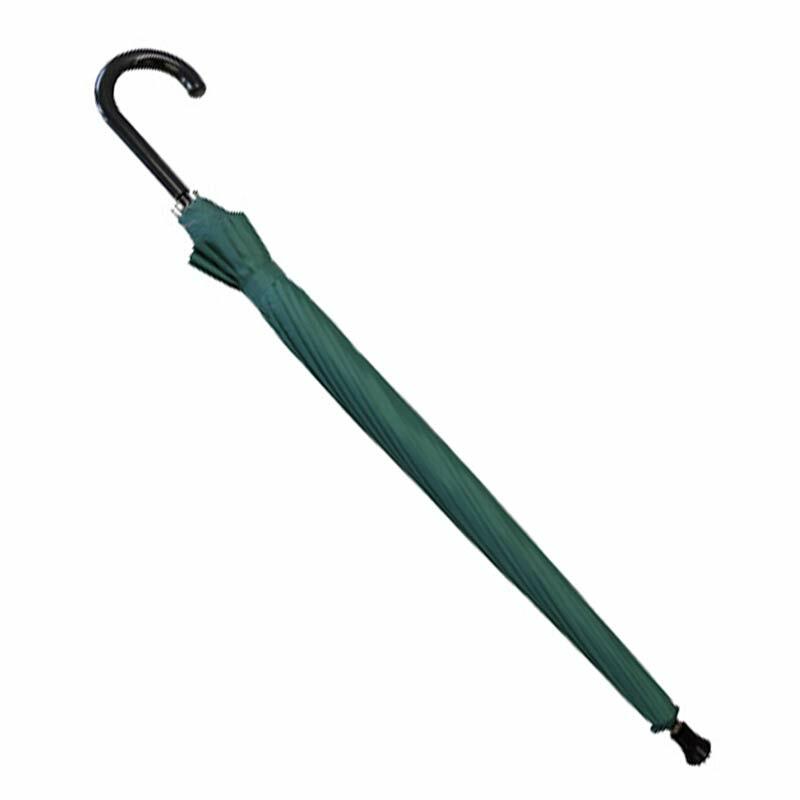 Brand new to the range (available in three colours). Suitable for ladies and gents. 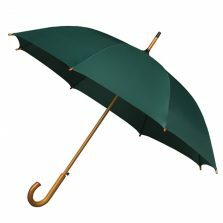 The 16 flexible fibreglass ribs also make for a very strong umbrella in the wind. Oh, and one more thing. 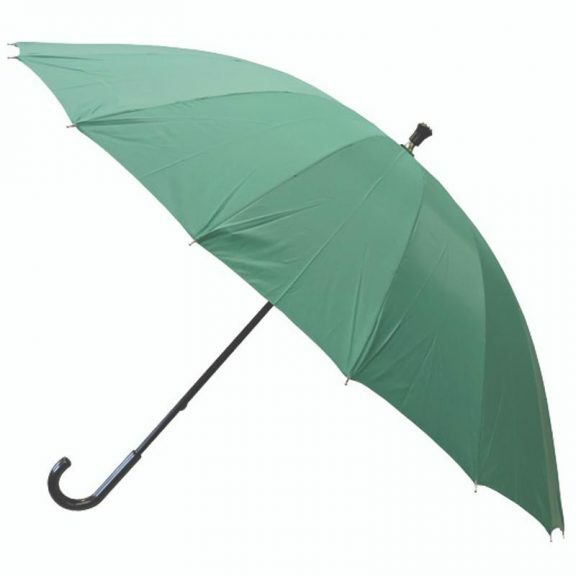 This green / teal walking umbrella has a metallic silver UV protective underside so it also affords good levels of UV protection in both rain and sunshine. 16 spoke fibreglass frame, light, flexible and strong, extremely good in the wind. Not the umbrella for you? 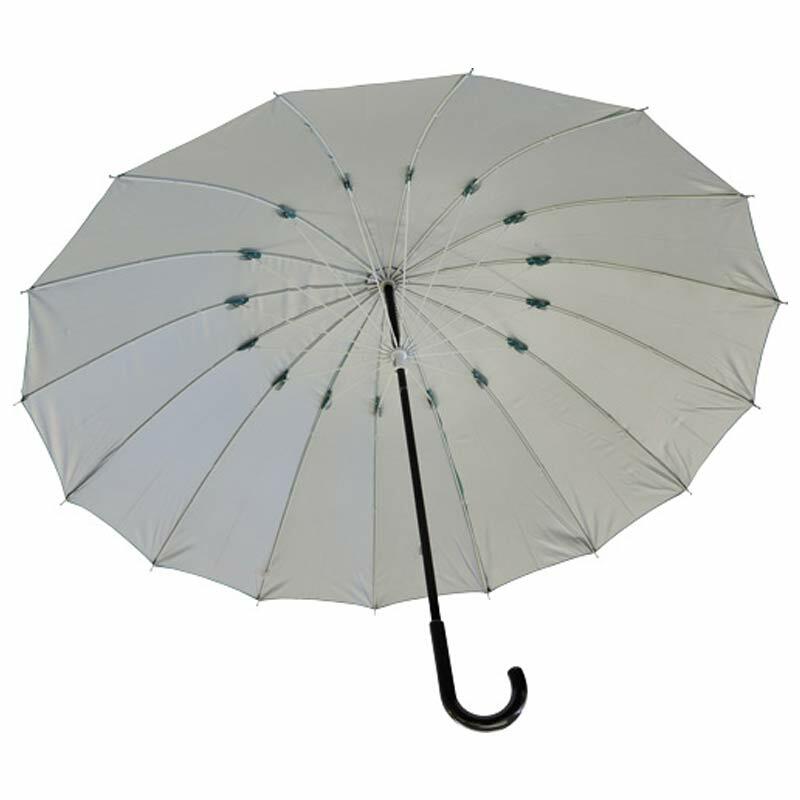 Check out the rest of our range of quality walking umbrellas!